I’ve had a few people ask for an oatmeal molasses bread recipe so I thought I’d break this good ‘ol recipe out of my vault of .txt files from about ten years ago. This recipe was one of my first forays into budget cooking. 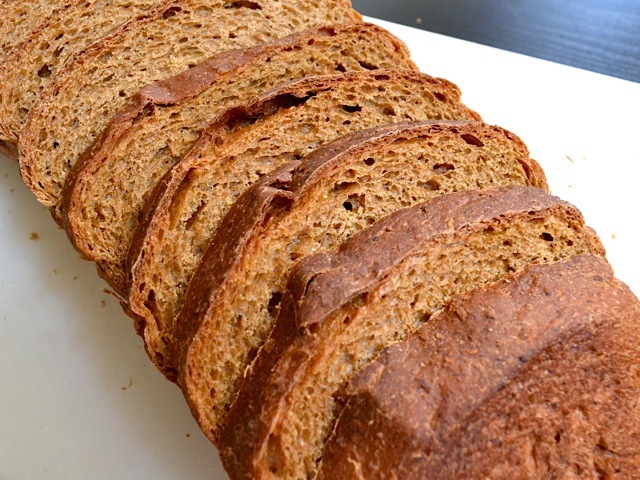 Back in the day, when I had first moved out on my own, I cooked a batch of this bread every couple of weeks. I’d eat one loaf that same week and the other would go in the freezer for the next week. I lived a very exciting life as a 21 year old, let me tell ya. This is not a quick bread recipe by any means, it’s more of an all day event. Most of the time the dough is either resting or rising so it doesn’t take a whole lot of attention, just a lot of time. So, make it on a day when you’ll be at home doing other chores. Also, this might not be a beginners bread because the molasses makes it slightly more difficult to determine if enough flour has been kneaded in… but hey, I broke my bread making teeth on this recipe so maybe you can too! This was literally the first time I’d made the bread in about ten years and it was slightly different than I remembered. But then, While writing an article about molasses, I realized the difference. Before, I used sorghum molasses and this time I used regular, dark molasses. Sorghum molasses is made from sorghum, while regular molasses is made from either sugarcane or sugar beets. Don’t get me wrong, they were both delicious, just slightly different. For more info about molasses, read What is Molasses? 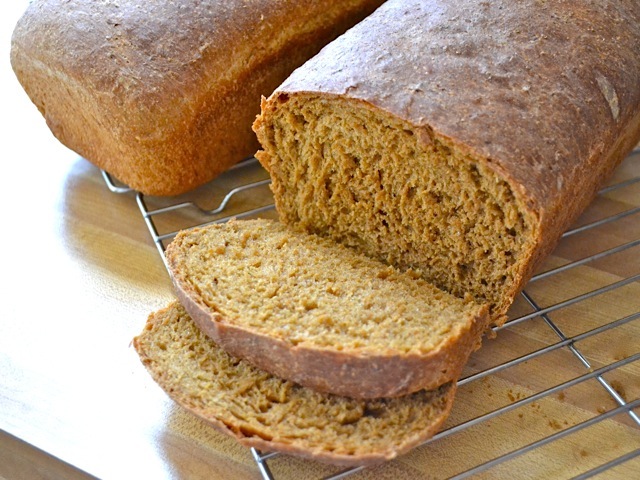 Oatmeal molasses bread is a rich and tender loaf that is perfect for toast or sandwiches. 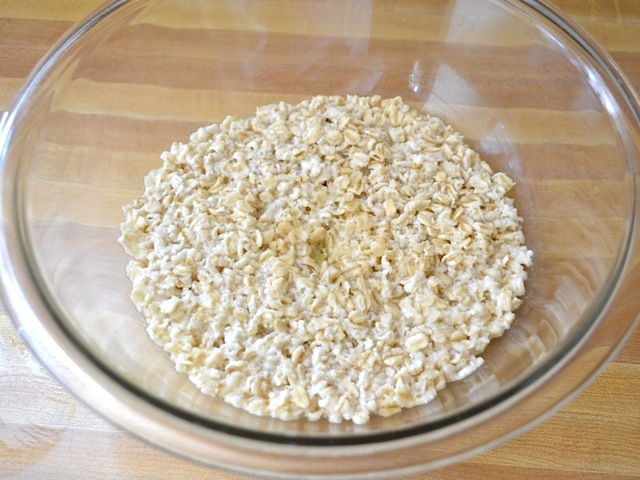 Place the oats and butter in a large bowl and pour two cups of boiling water over top. Let rest for 1 hour to allow the oats to soften. 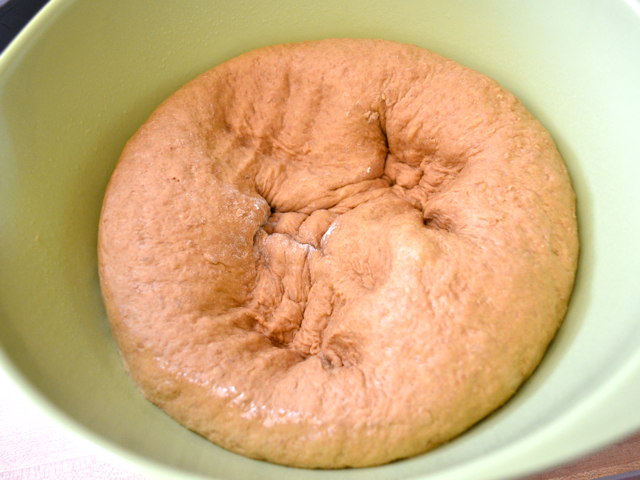 In a small bowl, soak the yeast in 1/2 cup of warm water for 5 minutes. 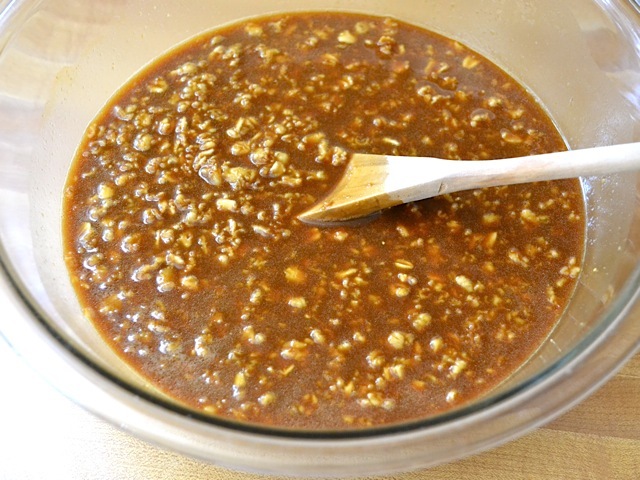 Add the molasses, salt, and dissolved yeast to the bowl of soaked oats. Stir to combine. 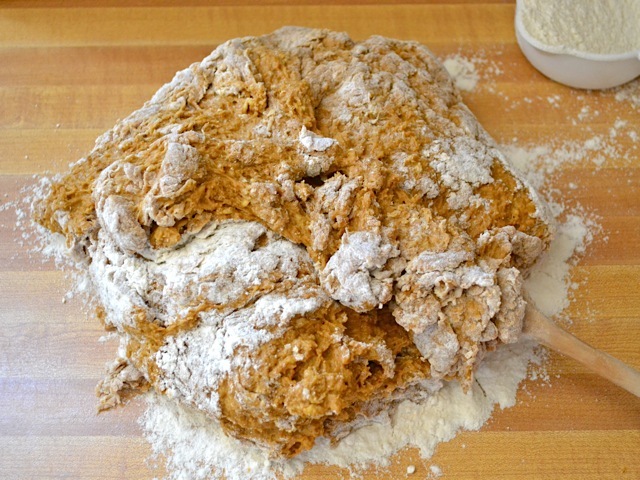 Stir in two cups of whole wheat flour. 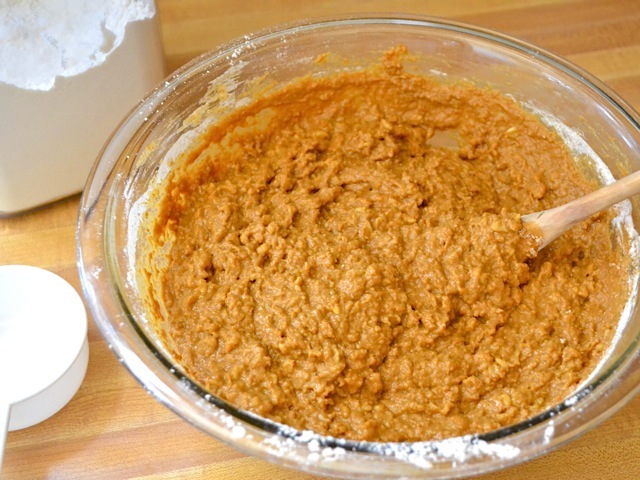 Begin adding the all-purpose flour, 1/2 cup at a time, until you can no longer stir it with a spoon. Turn the dough out onto a floured surface and continue to knead in all-purpose flour until you have a soft, pliable, not sticky ball of dough. 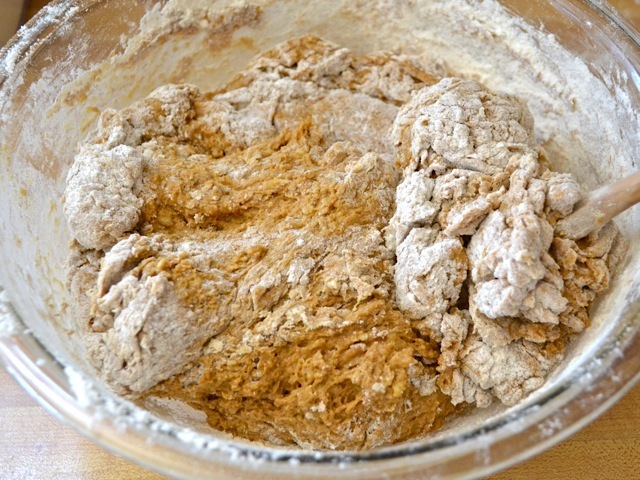 You want to knead for at least 5 minutes to properly develop the gluten and you should have added 5-6 cups of flour total (whole wheat and all-purpose). The dough may be slightly tacky due to the sticky molasses, but it should not be super sticky. 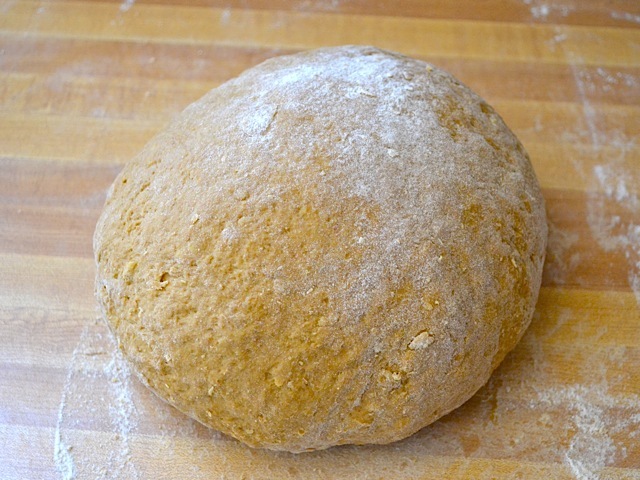 Place the ball of dough in an oiled bowl, loosely cover, and let rise until double (1.5 hours). 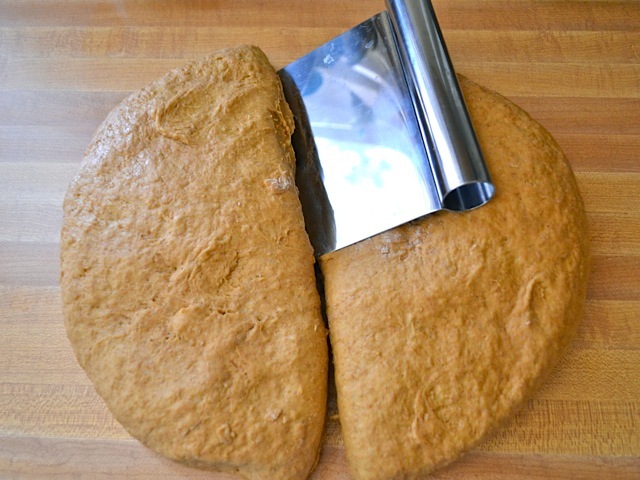 Punch the dough down, divide into two, and shape into loaves. Place the loaves in oiled bread pans, loosely cover and let rise until they are about 1-2 inches above the rim of the pan (another 1.5 hours). Preheat the oven to 375 degrees. 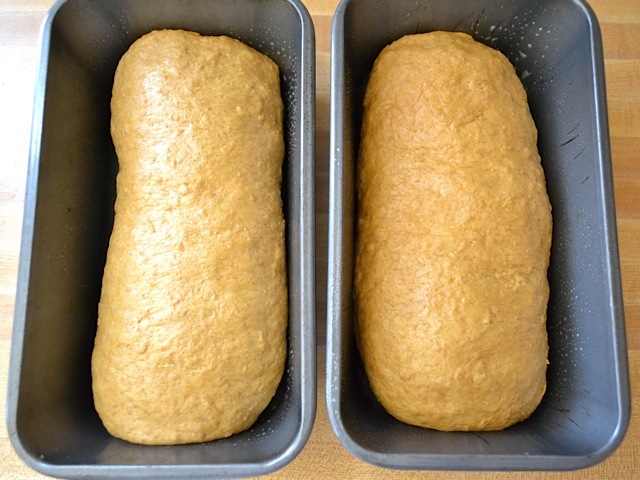 Bake the risen loaves for 35-40 minutes or until deep brown on the surface. 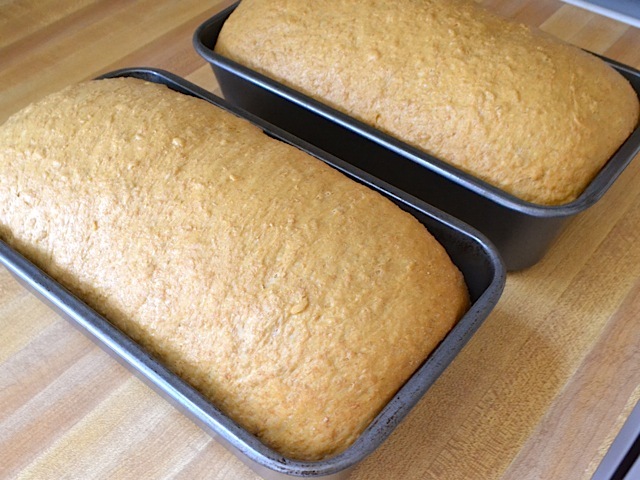 Turn the loaves out of the bread pans and onto a wire cooling rack. Let the loaves cool completely before slicing! 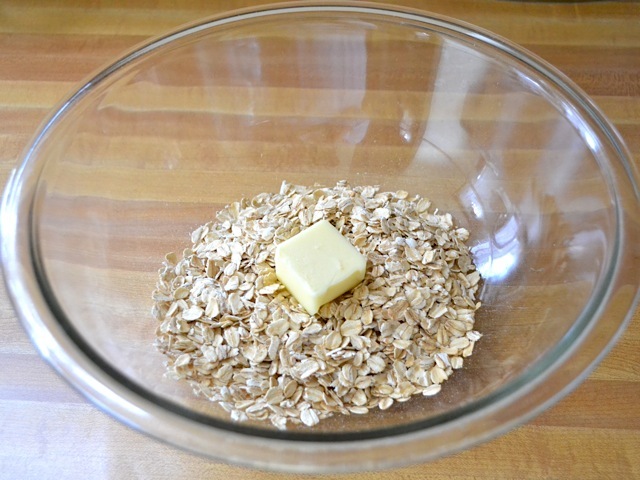 Start by placing the dry oats in a bowl with the butter. You can use either quick oats or old fashioned. I’ve used both with success! Pour two cups of boiling water over top and let it soak for 1 hour. After one hour the oats will be very soft and pretty close to room temperature. 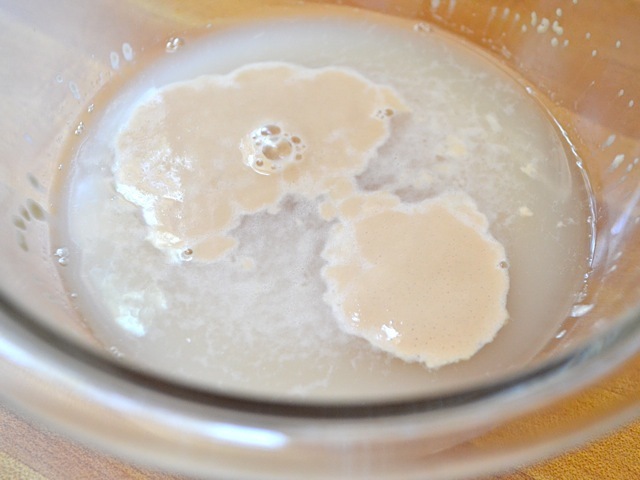 Soak the yeast in 1/2 cup of warm water for five minutes. 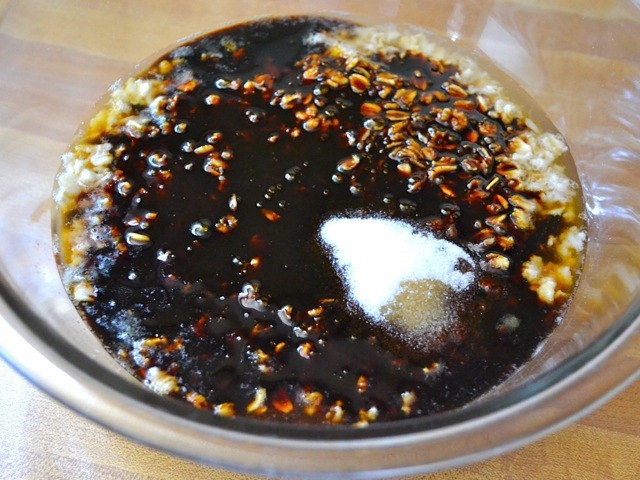 To the bowl of soaked oats, add the soaked yeast, molasses, and salt. Stir in two cups of whole wheat flour. It will be a very sticky mess at this point. Begin stirring in the all-purpose flour, 1/2 cup at a time, until you can no longer stir it with a spoon. At that point, turn the dough out onto a floured surface and continue to knead in flour until you have a smooth, soft, ball of dough. Knead for at least 5 minutes. This time, I used a total of almost 6 cups of flour whereas my notes from 10 years ago say 4 2/3 cups total… but I guess thats the difference between A) using a different kind of molasses and B) using old fashioned oats instead of quick oats. The point is that you have to use your judgement about how much flour is enough… which is why this may not be a beginners recipe. Also, due to the molasses, this dough tends to be stickier in general, which makes it even more difficult to gauge if enough flour has been added. But, anyway, somewhere around 5-6 cups total should do it! 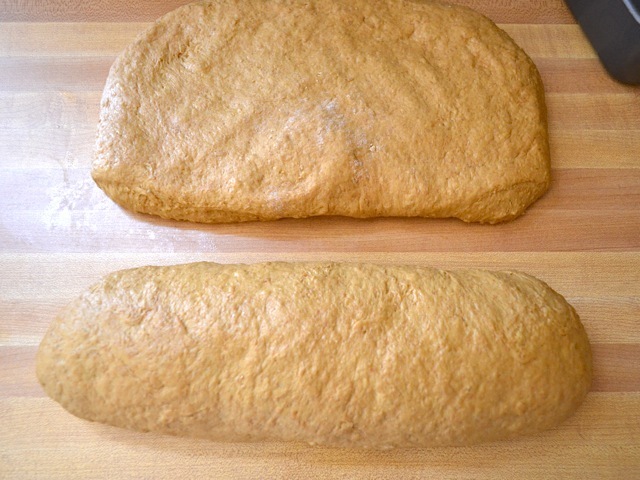 Let the dough rise until double in size (about 1.5 hours) and then punch it down to deflate. Molasses is a slow fermenting sugar which is why it takes the yeast a little bit longer to do its job. And then shape each piece into a loaf. I did this by flattening each half into a rectangle (approximately the same length as my bread pan) and then rolling it up. When the loaves are nice and risen, preheat the oven to 375 degrees. Bake the loaves for 35-40 minutes or until they’re a deep golden brown on the surface. See, I didn’t wait until they cooled to cut them and so the hot, steamy bread gummed up on the knife and made a “pilled” surface. But, I was running out of daylight to photograph so I had to work quickly! Anyway, when I sliced up the rest of the loaf later, the crumb was beautiful and a perfect size. So let the loaves cool! I know it’s hard! This bread is not super sweet as it may seem. It has a nice, deep, rich flavor with just a hint of sweetness. I love eating it for breakfast with either peanut butter or jam. It’s a very hearty, filling bread! Hi Beth. Did you use blackstrap molasses for this recipe? Or just regular? I have not tried this recipe yet but I will soon. First I’m asking what would happen if I cut back by half or even more on the called for salt? 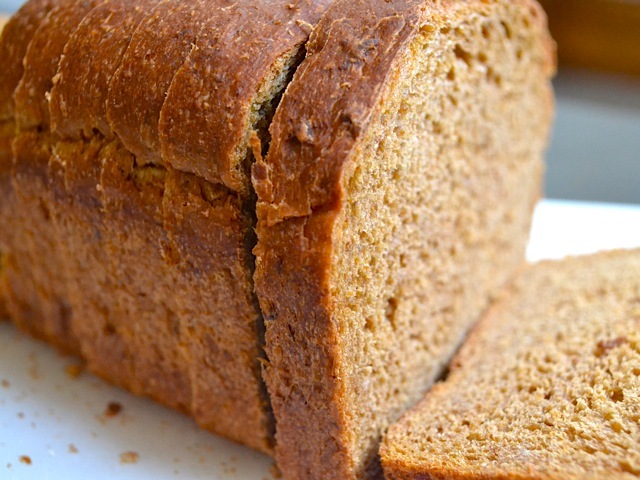 We try to follow a low sodium diet and finding packaged low sodium bread can be impossible. Salt helps flavors pop and allows your tongue to differentiate different flavors from one another, so if you reduce the salt it will probably just taste more bland all around. Thanks for a great recipe! Your directions were excellent. It turned out like my Nana used to make! I just came across this recipe and am sure it’s the same as one I had (and lost) about 35 years ago. Was just talking about it early this week, in fact, bemoaning it’s loss. I am so excited to have found this. Back in the day I used to come home from work and make it. Up till midnight but worth it for the glorious smell. Wonderful hot with butter, strong cheddar and tea. Or hot with more molasses. How about sprinkling some oats on top right before baking? That’s a great idea. :) You might need to do an egg white wash on top first, though, to help them stick. There about a zillion comments on how good this is. Okay, so here’s another. This bread is so good! and so easy! Thankyoumuchly! 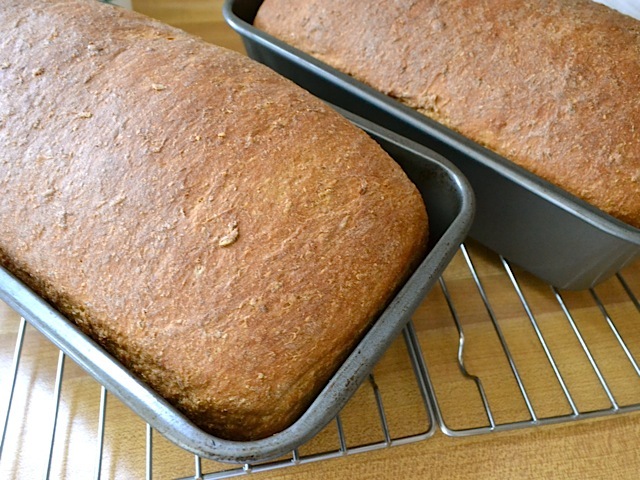 About a month ago I decided to make a loaf of bread with sorghum and went searching for a recipe. I ran across your recipe and knowing that I have yet to be disappointed with any of your recipes thought I’d give it a try. My bread making is limited, and the first few weeks the bread was just okay, but after making loaves weekly, tonight my husband declared it perfect. Thanks for sharing your recipes. Your African Peanut Stew and Spinach Pie are two of our family’s favorite recipes. Used almost the full amount of flour (it’s winter here in the northern part of the country). Took a little longer to rise since the house isn’t very warm; about 2 hours per rising session. Used Brer Rabbit Full Flavor molasses which is in between light and black strap. Baked 40 minutes and the loaves turned out perfect. Moist inside with a chewy crust. Wrapped one in Saran and foil for the freezer. Took about an hour to fully cool. Took awhile to make, but hands on time was nominal. 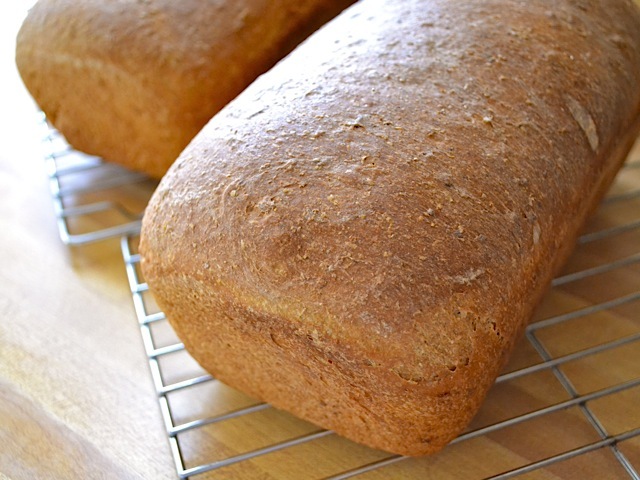 Great bread to make when you are home all day.